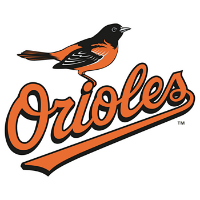 A Matt Wieters two-run homer broke an eighth-inning tie and lifted the Baltimore Orioles to a key 5-3 win over Toronto on Tuesday night. Wieters (.241/.295/.394, 12 HR, 53 RBI) was 2-for-4 on the night. Steve Pearce (.302/.382/.521, 13 HR, 34 RBI) and Manny Machado (.306/.357/.563, 32 HR, 83 RBI) also homered for the O’s (72-60), which moved back to within three games of Toronto (75-57) in the AL East. Baltimore also remains a game ahead of Detroit (71-61) for the second AL wild-card spot. Brad Brach (8-2, 1.64 ERA, 0.92 WHIP) got the win in relief, striking out two and giving up one hit in an inning and a third of relief. Zach Britton (39 saves, 0.67 ERA, 0.81 WHIP) gave up a hit in the ninth before nailing down the final outs to get the save. Ubaldo Jimenez (5-11, 6.46 ERA, 1.80 WHIP) had a solid outing in a no-decision, giving up three runs on five hits in six and two-thirds innings.